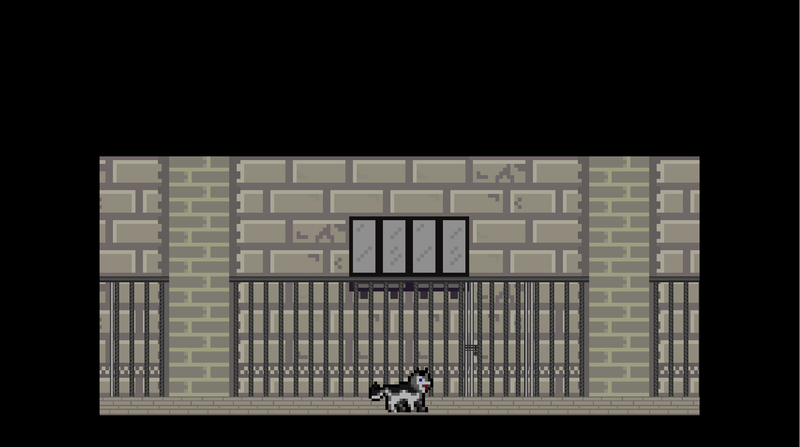 As the last dog in Ashbrooke's Animal Shelter, you are set free to wander the streets and search for a place to call home. 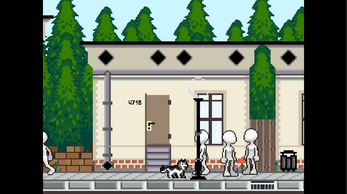 LOVE FOR A STRAY is an adventure game focused on character and dialogue. 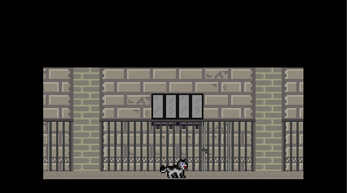 It features one major storyline, a couple other characters you can interact with, and a somewhat real-time dialogue system where your choices are always one of barking, whimpering, growling, or staying silent. 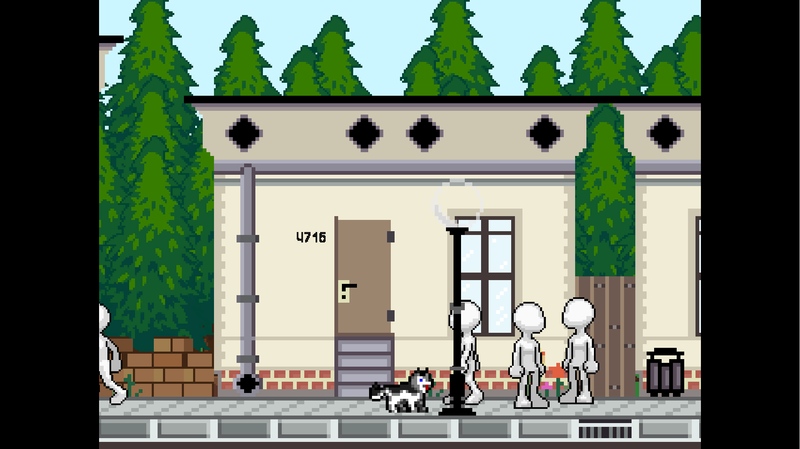 NOTE: This game is a prototype and may contain bugs. Just let me know if you find anything weird/broken. Feedback is definitely appreciated! Also, if I've forgotten to credit you for art/sound, please let me know.